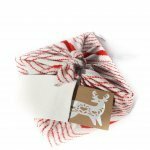 Eco Gift Wrap, Fabric Wrapping Paper, Furoshiki, Sustainable Gift Giving. Take your ECO Warrior’s gift to the next level. It’s time up your sustainable gifting game. 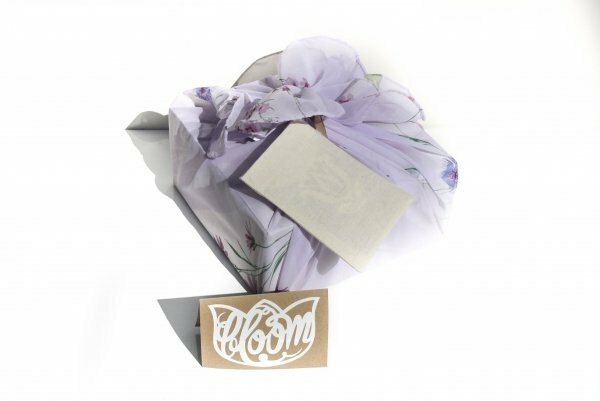 We have you covered with this eco gift wrap set. Gifting sustainable items has never been easier. Have an Eco Warrior on your list this year? This specific set was made from rescued fabric. There are a variety of ways to wrap/tie these wraps, inspired by the furoshiki wrapping method. 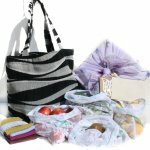 1 Wrap can easily wrap a variety of shapes: books, wine bottles, as a grocery bag, the list is endless! 1 Eco Gift Wrap can eliminate the need for meters and meters of single use wrapping paper. The main goal is reduce single use items. This set is perfect to start your Eco Gift Wrapping needs. Large Wrap will easily wrap a box sized 25×25 cm wide x 13cm tall. What makes it reusable? The inside paper can be replaced after each use. Card is made from recycled kraft paper & embelished with upcycled wallpaper. Card measures similar to a C5, comes with a cotton calico envelope to ensure that it can be reused many many times. Envelope has a small ribbon attached to make it easier to secure to gift. We loop our envelope through one of the last knots and tie it right on, simple and truly beautiful. Lovingly made by a Non-smoking momma in a Non-smoking household & Pet-free environment. Hand stamped Market Tote. Made from rescued upholstery fabric. Monogram Embroidery Ornament. 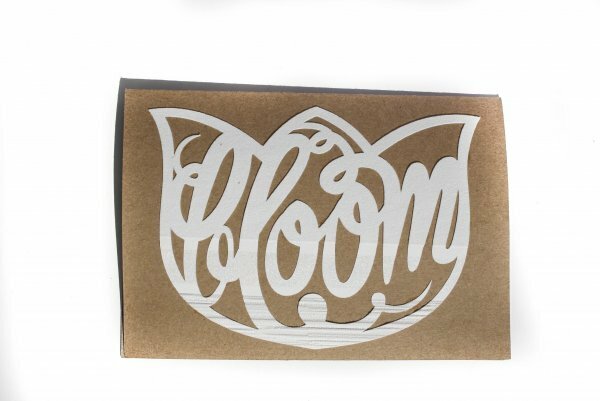 Comes as a single Kit, each additional ornament will come with 1 additional skien of embroidery floss & floss card. Set of 4 reusable greeting cards. Reusable Cards reduce the need for single use greeting cards. Gift one of our greetings cards and know that it can be passed on forever and ever. What makes them reusable? Simply replace the inside paper with your own special message. Each card comes with a calico envelope, complete with satin ribbon to attach to a gift. Cards measure 10 x 14 cms, the calico envelopes measure 17 x 12 cm. Embellishments are made from upcycled materials. We source our upcycled materials from fashion posters, cracker boxes, mailers, shoe boxes, the list is endless! The calico envelope is ideal for continued gifting, as the fabric will hold much longer than a paper envelope. Due to the unique nature of our calico envelopes, we have designed an upcycled mailing envelope. Optional add on mailing envelopes made from upcycled fashion posters. Mailers come with white adhesive address stickers. $4 for 4 upcycled mailers.